Kakadu National Park covers more than 19,000 square kilometres, and is the largest National Park and one of the most culturally significant places in Australia. Travelling three hours inland from Darwin, our 1 Day Kakadu National Park Tour gives you a snippet of what the area has to offer. If you are hard pressed for time it is a must do. Discover why this world heritage area is so special to Indigenous Australians at the Warradjan Aboriginal Cultural Centre. Admire hundreds of different species of birds, plants and other amazing animals. As you cruise the Yellow Water Billabong you may spot Kakadu’s fiercest predator - the salt water crocodile. The best Kakadu Tours offer a mix of natural beauty, Aboriginal culture and art, enthralling wildlife life in a harsh but delicate landscape and this tour offers that all. Book now and discover the tapestry of treasures waiting to be explored. Enjoy the picturesque landscape of Kakadu National Park throughout the year! During the months of November - April, Kakadu experiences its wet season and our 2 Day Kakadu Tour is the ideal way to explore the beautiful surrounds during this period. We operate in specially designed vehicles to enable everyone to visit roads and iconic destinations which are often flooded during the wet season. Join us on our 2 day Kakadu Tour as we explore iconic sights such as Nourlangie Rock, Warradjan Cultural Center, and take the opportunity to experience native Australian crocodiles on the famous Jumping Crocodile Cruise. Kakadu National Park is one of Australia's most iconic national parks. The beauty of Kakadu is that there is always something spectacular to see and do throughout the duration of the year. Join us on our 3 day Kakadu & Litchfield 4WD Expedition tour, as we witness vivid green landscapes, breathtaking over flowing creeks and striking afternoon storms. Explore all the fascinating sights such as Nourlangie Rock, with fewer people occupying the area. Book your adventure today! This three day Litchfield And Kakadu Tour is a 'Dry Season Special'. Operating from June through to September, this tour takes in all the very best sites in both Kakadu and Litchfield AND is fully inclusive, providing all meals, accommodation (camping) and all National Park Fees. Spend three days exploring some of Australia’s most unique landscapes and culturally significant areas, as well as enjoying the rustic and truly Australian pastime of camping. With the first two days spent in Kakadu and the third day in Litchfield National Park, this tour offers a smorgasbord of natural delights including the amazing wetland ecosystems. See waterfalls, rock pools and the spectacular scenery in Litchfield and Kakadu. 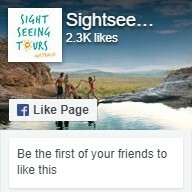 Book today and you will experience why this trip is the best value 3 Day Kakadu Tour on the market. Experience the wondrous beauty and ancient culture of the Top End on the 3 Day Kakadu National Park Tour. Marvel at the spectacular landscapes, powerful waterfalls, stunning plunge pools and endless plains that are home to oldest continuing culture in the world. Learn the history and culture of the Indigenous people who have called this place home for thousands of years and get up close and personal with the fascinating wildlife. The 3 Day National Park Tour offers you a comprehensive insight into this stunning part of Australia. Book now for an unforgettable experience. Experience the staggering beauty and rich history of the Top End on the 5 Day Kakadu Tour with Koolpin Gorge. We visit impressive waterfalls, pristine plunge pools and breath-taking lookouts. Learn the fascinating indigenous history and culture of the world famous national park as we visit ancient rock art sites. We visit the exclusive area of Koolpin Gorge, splash about at Twin Falls and Gunlom Falls, admire views of the Arnhem Land Escarpment and spot the unique wildlife that call the region area home. Camping out under the stars and travelling in 4WD transport ensure we have a true outback experience. Book your 5 Day Kakadu Tour with Koolpin Gorge with us today! Darwin is like no other city in the world, happily embracing its isolated big country town reputation, Darwin is a city of incredible food, lively markets, tropical gardens and waterfront restaurants. Yet step outside the boundaries of the city and you quickly realise that the city is surrounded by rugged landscapes, natural beauty and an indigenous history and culture to rival anywhere on this planet. We offer a number of Darwin and Surrounds Tours including Litchfield and a 2 day adventure from Darwin to Alice Springs. Uluru is one of Australia’s most recognisable tourism icons and an awe inspiring destinations. Even if all you did was travel all the way to the centre of Australia just to take in this impressive red rock against the harsh and dramatic desert background, you would be more than satisfied. However put Uluru alongside Kings Canyon and Kata-Tjuta and it has to be at the top of your bucket list. We offer comprehensive 1, 3 and 4 day tours from both ‘The Rock’ and Alice Springs of Uluru and surrounds. Don’t miss your chance to experience the colour of Uluru and its traditional people.